Summary: From the highly acclaimed, multiple award-winning Anthony Doerr, the beautiful, stunningly ambitious instant New York Times bestseller about a blind French girl and a German boy whose paths collide in occupied France as both try to survive the devastation of World War II. Doerr’s “stunning sense of physical detail and gorgeous metaphors” (San Francisco Chronicle) are dazzling. Deftly interweaving the lives of Marie-Laure and Werner, he illuminates the ways, against all odds, people try to be good to one another. 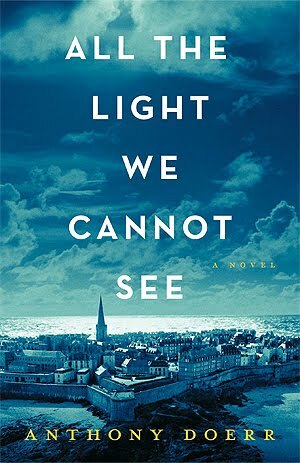 Ten years in the writing, a National Book Award finalist, All the Light We Cannot See is a magnificent, deeply moving novel from a writer “whose sentences never fail to thrill” (Los Angeles Times) [x]. Review: Wow. I really enjoyed this book. I read it in just over 24 hours. I couldn’t put it down. The writing was perfect. Every sentence was brilliant. The metaphors were so unique. I couldn’t put it down. The writing style was unique in a way as it was written in scenes that reflected certain characters ranging from a page to five. It is weird that I liked that about this book because in Game of Thrones each chapter is a certain characters but it could be 100s of pages before your back at that character and you’ve kind of forgotten what was happening. With this though, the scenes being so short it’s easy not to get lost. It was interesting to see the war through two different perspectives. A young German boy who is in the Hitler Youth and a young blind French girl that has to flee her home. There are a lot of other characters in this book who weave there way in and out throughout the course of the novel giving more perspective on how each different personality deals with war and how they survive. I’m glad that we got an ending that we usually don’t get. Usually a book ends and you’re like “Well, what happened after?” Doerr gives you a little insight into what happens in the characters lives years later. I’ll admit it wasn’t much but it was something. This review is short as I can’t put into words how much I enjoyed this book. It was lovely. It was haunting. I highly recommend. This entry was posted in Anthony doerr, book, book review, book reviews, books, reviews. Bookmark the permalink.